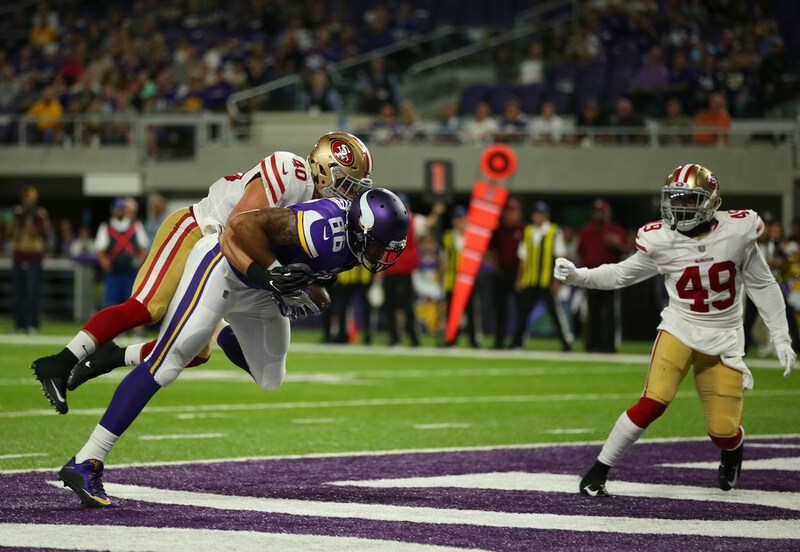 The Vikings promoted tight end Kyle Carter to the active roster and placed tight end Blake Bell on injured reserve. Bell injured his shoulder during last week’s 31-24 loss in Carolina. Carter has been one of just two tight ends at practice this week alongside David Morgan, who himself was recovering from a concussion. Starter Kyle Rudolph is dealing with an ankle injury and has missed both practices this week. The final injury report for Sunday’s game against the Bengals will be issued this afternoon. Two free agents, tight ends Sam Cotton (Nebraska) and Steve Donatell (Western Kentucky), were brought in to Winter Park for a workout this week. The Vikings re-signed defensive back Jack Tocho to take Carter’s spot on the practice squad.